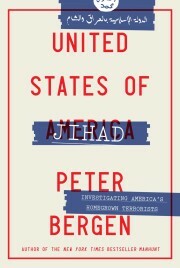 Peter Bergen is CNN’s national security analyst, a vice president at New America and a professor of practice at Arizona State University. He is the author of “United States of Jihad: Investigating America’s Homegrown Terrorists.” David Sterman is a policy analyst at New America’s International Security Program. The opinions expressed in this commentary are theirs. (CNN)The American drone war in Pakistan effectively ended nearly eight months ago when the US conducted its last drone strike, killing the Taliban’s leader, Mullah Akhtar Mansour. After using CIA drones regularly for 7 years in Pakistan — a country where the United States is not waging a traditional war, such as in Iraq — the Obama administration has now presided over the longest cessation of strikes since President Obama took office, according to data collected by New America. It is in Pakistan where the majority of CIA drone strikes have occurred under Obama, resulting in the death of a minimum of 1,904 people and perhaps as many as 3,114, according to New America’s research. The drone program has continued in other countries outside of traditional war zones, such as Yemen and Somalia, but at relatively small levels, compared to the 122 strikes in one year that occurred in Pakistan at the height of Obama’s drone war there. On Friday, Donald Trump took the oath of office. He has a key decision to make as commander in chief: Will he re-start the drone strikes? That decision should be guided by the scope of the real threat emanating from Pakistan, rather than simply a desire to do something other than what the departing administration has done, which is often the impulse of an incoming administration. The threat from al-Qaeda in Pakistan has receded and the need for “force protection” of US troops in Afghanistan has much diminished with the significant withdrawals of American forces in the past years. There is also a widespread perception in Pakistan that drones kill too many civilians — according to a 2014 Pew poll, two thirds of Pakistanis believe this to be the case. Any decision to reactivate the drone campaign in Pakistan should take into account that the program and the United States are quite unpopular in the country, which has a population of more than 180 million people. The incoming Trump national security team has not laid out a clear policy on drone strikes, but it has made general statements suggestive of a coming escalation. Trump brings with him appointees who have long supported the drone war. In 2011, General James Mattis, who at the time was Commander of Central Command, which directs American military operations stretching from Egypt to Pakistan, and is now Trump’s Defense Secretary nominee, was among those who pushed for an escalation of air strikes in Yemen. On the other hand, members of Trump’s circle have also criticized the drone war. Despite his role in pushing for an escalation of strikes in Yemen, Mattis has warned that drone warfare can give a false impression that war is manageable. Flynn, however, refused to condemn Trump’s comments regarding killing terrorists’ family members, commenting instead: “I would have to see the circumstances of that situation.” He added, “These are very difficult political decisions.” He has also criticized the current restraints on strikes that are meant to limit collateral damage. Trump and his team have also not laid out a clear policy on U.S. relations with Pakistan. Trump has at times taken a conciliatory tone. Shortly after being elected, he told Pakistani Prime Minister Nawaz Sharif, “You are a terrific guy,” and offered, “I am ready and willing to play any role that you want me to play to address and find solutions to the outstanding problems,” according to a Pakistani readout of a call he had with Sharif. Why did the strikes in Pakistan halt? There are two explanations for the halt, which are not mutually exclusive: either the Obama administration made a decision to refrain from strikes or the cessation derives from a lack of need or opportunity to conduct strikes. Yet beyond Pakistan, there is little evidence that the Obama administration has reined in its air wars against terrorist groups. In Yemen, the United States conducted more drone strikes in 2016 than any year except 2012, the peak of the campaign in the country, according to data collected by New America. In Somalia, the United States has conducted more strikes in 2016 than during any previous year, according to New America’s research. In 2016, Washington and its coalition partners conducted more than 7,000 strikes in Iraq and Syria. And in Libya, the United States has conducted more than 350 air strikes since August as part of its military campaign against ISIS there. Such protestations have not prevented previous strikes. Another potential explanation for the cessation is that the United States is running out of targets in Pakistan. At the peak of the drone war in Pakistan, the United States had around 100,000 soldiers in Afghanistan, while today the United States has fewer than 10,000 soldiers there, reducing the need to conduct “force protection” strikes. The rise and fall in drone strikes in Pakistan closely mirrors the rise and fall of American troop numbers in Afghanistan. Pakistan’s military operation to secure its northern tribal areas along the Afghan-Pakistan border in 2015 resulted in an influx of militants into Afghanistan as they fled Pakistan, further reducing the number of targets. The United States has killed more than 50 al Qaeda and Taliban leaders in Pakistan since the beginning of the CIA drone campaign. In 2011, before he was killed in a US Navy SEAL raid, bin Laden was considering moving al Qaeda’s key figures out of Pakistan to avoid the strikes. Even the Taliban’s leadership council, which has long been able to find shelter in Pakistan’s cities, may now have moved back to Afghanistan in recent months. According to General John W. Nicholson, the commander of US forces in Afghanistan, the United States has killed or captured 50 key al Qaeda leaders and facilitators in Afghanistan in 2016 alone. Given his rhetoric, Trump may well escalate the drone war in Pakistan and there isn’t much to stop him if he chooses to do so. A decade and half ago, Congress authorized the war in Afghanistan, which was extended to Pakistan first by George W. Bush and then Obama. Under Obama, the drone war in Pakistan reached its height, and Trump, should he choose to do so, can easily bring that war back.